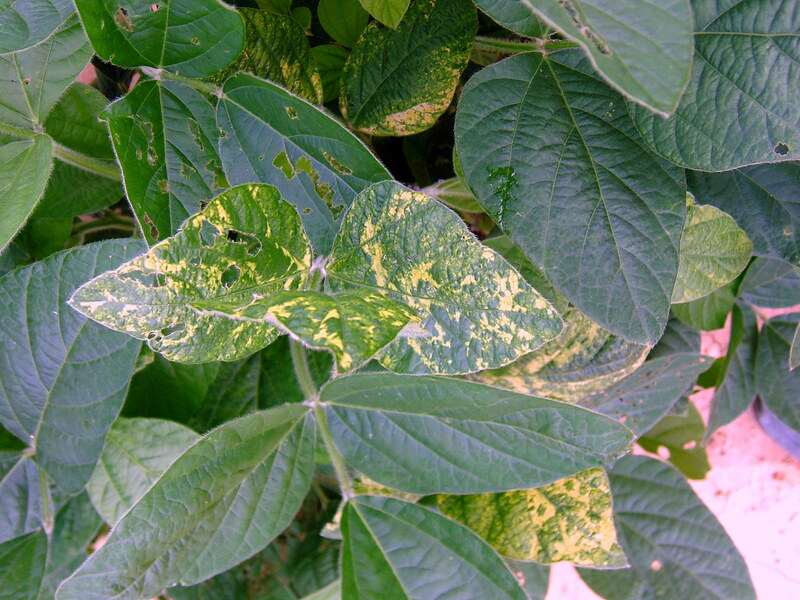 Symptoms caused by Alfalfa mosaic virus (AMV) are patterns of bright yellow and dark green leaf tissue. 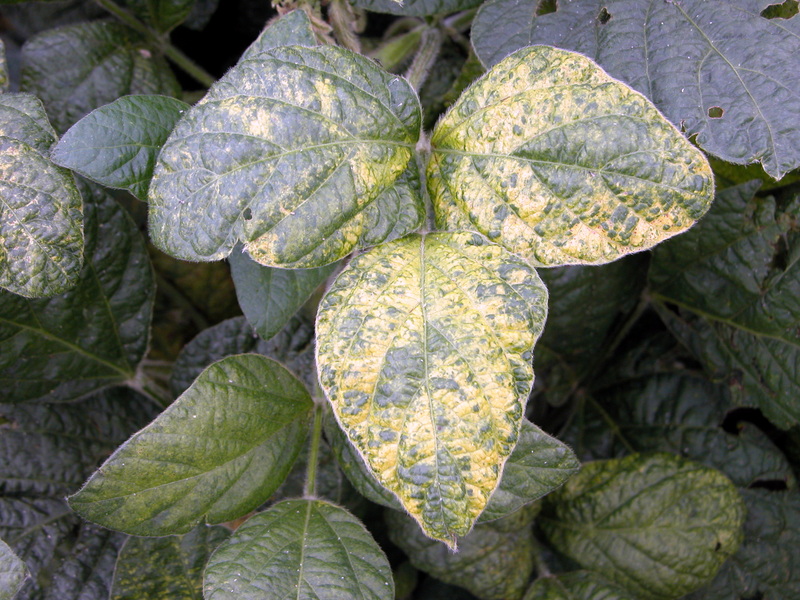 Newly emerged leaves may be small with bright yellow spots and brown discoloration and plants may be stunted. Alfalfa mosaic is transmitted by more than 15 aphid species, including the soybean aphid. 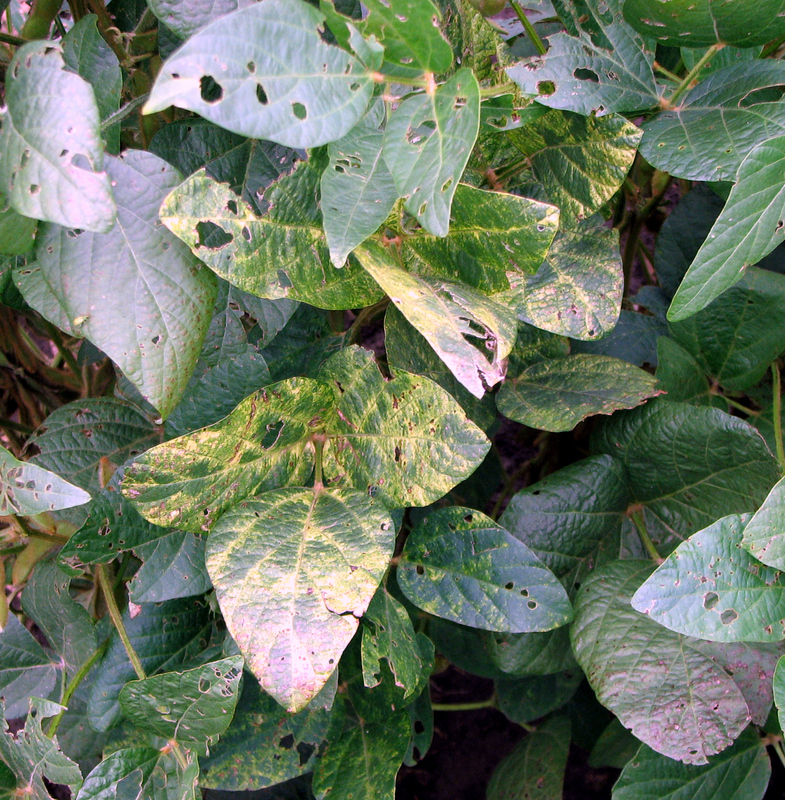 Alternate hosts of AMV include alfalfa, other legumes, and solanaceous (nightshade family) plants. Alfalfa mosaic may be more prevalent at field edges, especially bordering alfalfa. 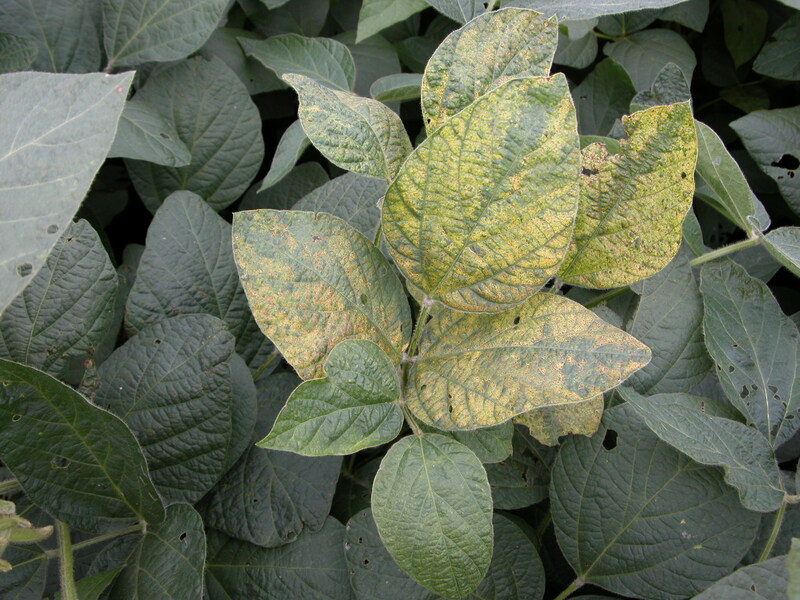 Soybean plants with symptoms of alfalfa mosaic. 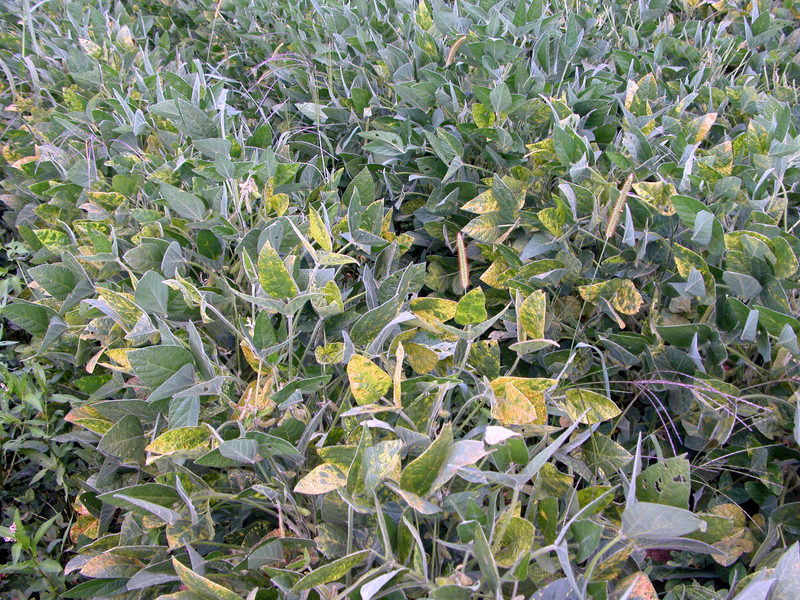 Patterns of bright yellow and dark green leaf tissue symptomatic of alfalfa mosaic. Alfalfa mosaic is transmitted by more than 15 aphid species, including soybean aphid. Alfalfa mosaic may be more prevalent at field edges, especially bordering alfalfa. 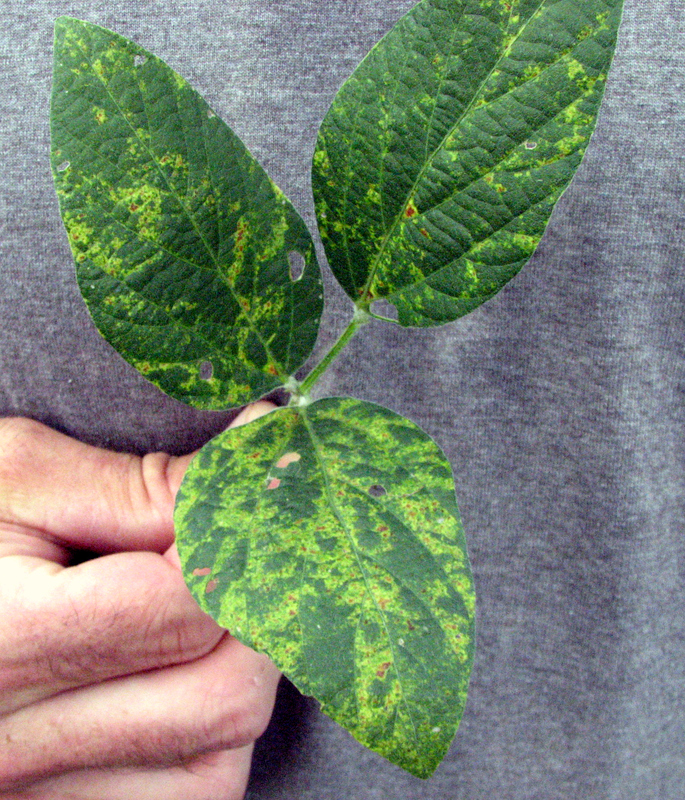 Symptoms of alfalfa mosaic on soybean leaves. 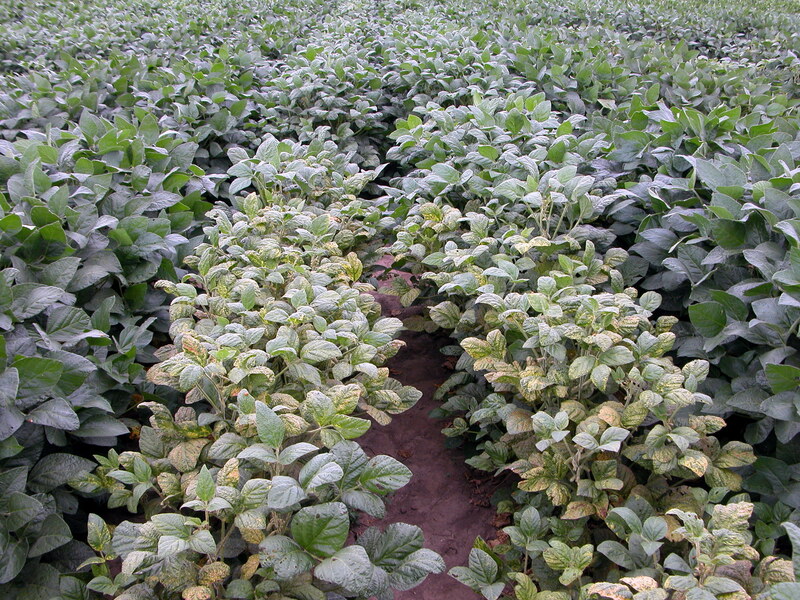 Soybean plants with alfalfa mosaic.